RECOMMENDED: Rent or Download-to-Own the series through Vimeo. Individual episodes available separately. 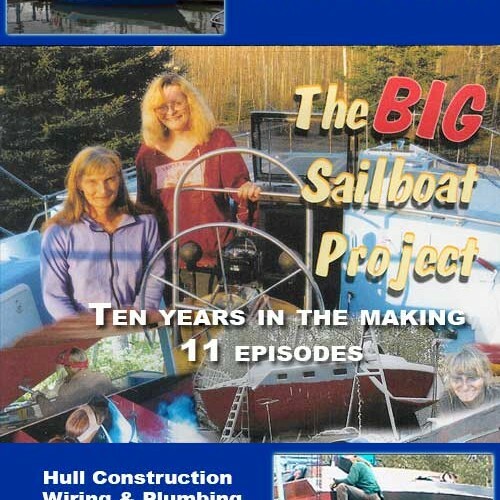 From the Sailing Quarterly Video Magazine library. In this how-to sailing video, America’s Cup champion, Gary Jobson provides, tips on all aspects of sail trim that will help you improve the performance of your boat, wether you race or cruise. TIP 402D: Mainsail Trim for Power and Speed - 9:30 MIN. Gary Jobson give you a detailed demonstration of mainsail trim and how to set up your sails for power, speed or pointing. TIP 403D: Headsail Trim & Changing Jibs while Racing - 7:45 MIN. Gary Jobson explains the finer details of headsail trim and demonstrates how to change jibs while racing. He evaluates projected sail area, amount of draft, and position of draft to get the best boat performance. TIP 301D: Spinnaker Sets - 7:22 MIN. Gary Jobson demonstrates the techniques he uses for fast and foolproof spinnaker sets. TIP 302D: Spinnaker Takedowns - 5:46 MIN. Gary Jobson shows you everything you need to know for flawless spinnaker takedowns. TIP 404B: Spinnaker Trim and Crew Work - 7:02 MIN. Learn what to look for in a properly trimmed spinnaker and how to coordinate your crew so everyone works together for perfect spinnaker trim. Demonstrated with racing crew onboard IMS Merrythought. TIP 502D: Light Air Racing - 7:27 MIN. Light air sailing. Gary takes us aboard a Soling and explains his techniques for upwind performance in less than 6 knots of breeze. This involves making small subtle changes and keeping your patience. 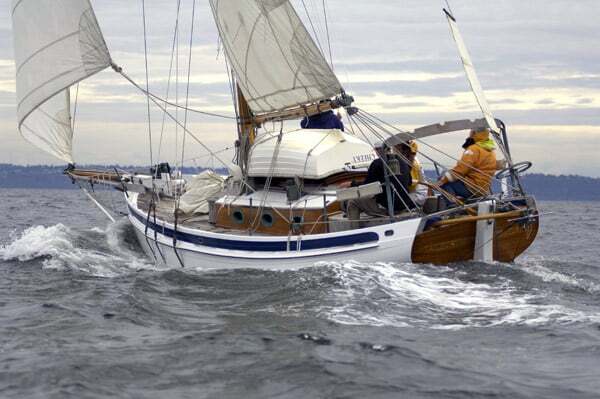 Pay attention to your steering, your sail trim and position of crew weight. After all, a win is a win even in light air. TIP 501D: Downwind Mainsail Trim for Racing and Cruising - 9:24 MIN. Learn Gary Jobson’s tips for mainsail trim on the downwind leg. 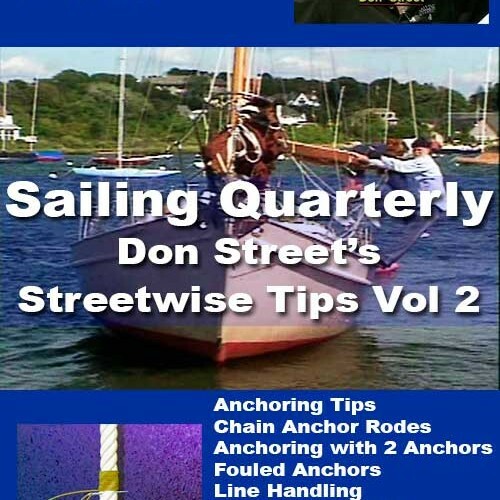 Plus 3 speed tips for cruising boats heading downwind including spinnaker socks, wing n wing, and jib sheet to main boom for better downwind sail shape. TIP 503D: Downwind Tactics for Light Air - 3:33 MIN. Gary Jobson reveals his tactics for sailing downwind in light air. 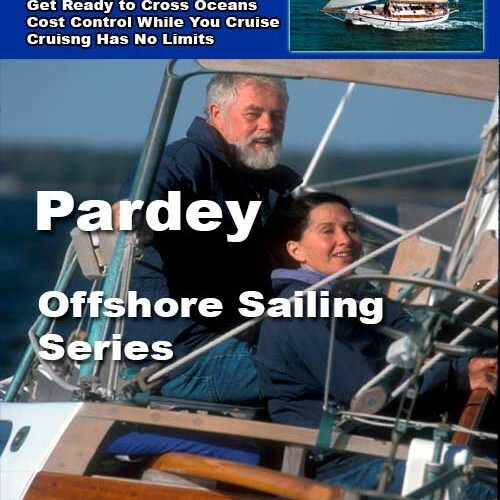 Specific guidance on sail trim, steering and position of crew weight, how to play the spinnaker and main in light air as low as 3 – 6 knots, and even no air of 0 – 3 knots. The key is not to get frustrated; rather thrive on light air. TIP 201F: Gary Jobson and Christopher Reeve Sail a Cambria 46 - 10:42 MIN. Join actor and sailor Christopher Reeve and Gary Jobson as they get Chris’s Cambria 46 sailing to its maximum speed potential.